I love a good curry. It’s real comfort food. The flavours of all these different spices cooked together are delicious and warming. Ideally I like my curry to be medium to hot in spice heat. This curry is mild to medium so adjust the chilli according to how you like yours. It takes about 45 mins prep so its a good meal for a Friday or Saturday night when you might be able to spend a little bit of time cooking. Once all the ingredients are in the pot you can chill back and wait until everything is cooked and the flavours developed. Brown rice 80g – 100g per portion. Heat the coconut oil in a heavy bottomed pot over a medium heat. Once melted add the ginger and fry for 1-2 minutes. Add the cumin and coriander seeds and fry for 1-2 minutes until you can smell their aromas. Next add the squash and carrots and stir into the spices for a minute or two. Add the pepper and courgettes next and again stir all the vegetables and spices together. Empty in the can of chopped tomatoes and then the water. Next add the turmeric, chilli flakes, cayenne, ground cumin and coriander. Warm the sachets of creamed coconut in warm water. Once melted open and squeeze into the curry pot. Bring to the boil then simmer with lid on for about 1 hour, stirring occasionally. Check the harder vegetables ie carrots and squash after an hour to see if they are cooked to your liking. Add seasoning at this stage too. Finally cook the rice to the packets instructions ( usually 20 minutes) and you’re ready to serve! When cooking or ordering a curry try to choose a healthier option. A tomato based curry is better than a creamy curry. Kormas and masalas are best avoided as they contain significant amounts of cream. Cream is full of saturated fats, high in calories and not good news for cholesterol levels. 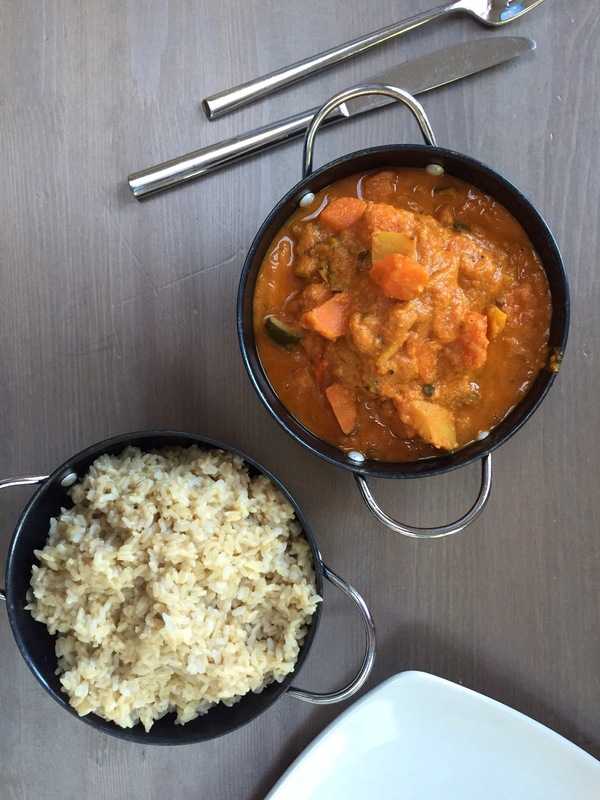 A tomato based curry is a much healthier choice. Tomatoes have numerous health benefits. They contain an antioxidant called lycopene. 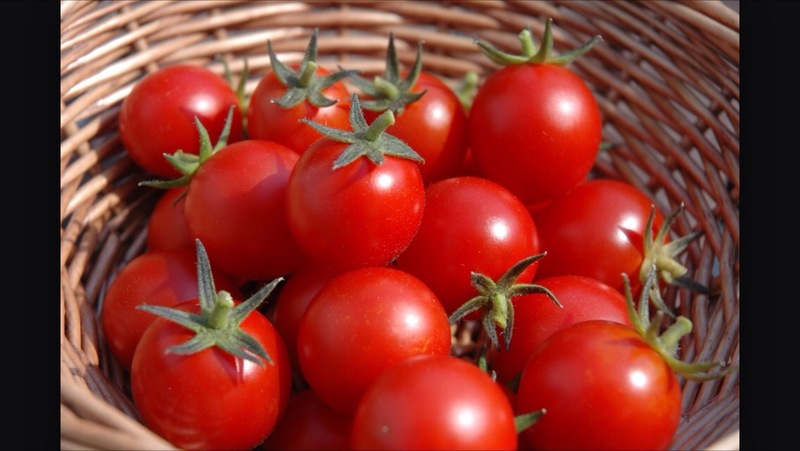 Lycopene is a nutrient that is more easily absorbed after cooking. Blanching tomatoes in hot water for a couple of minutes is sufficient to aid lycopene absorption but cooking them for 15 – 30 minutes greatly increases its bioavailability. This is an important nutrient for men and prostate health. 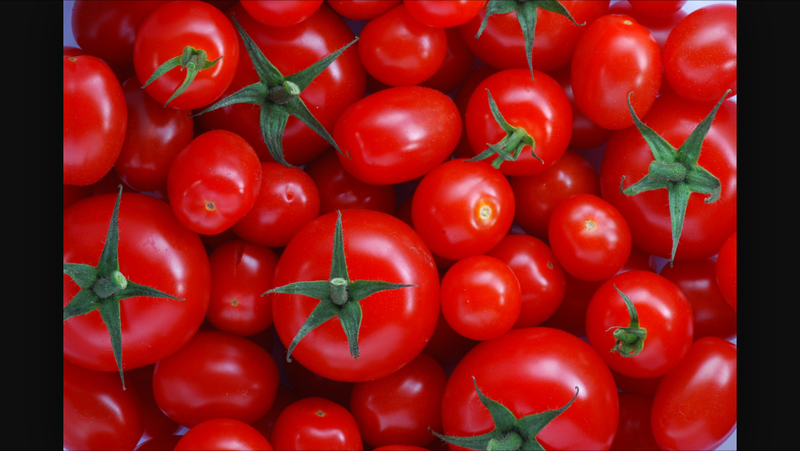 Research has shown that lycopene is beneficial for men with enlarged prostates.